Examples of NEW PARADIGM Splitting and Pairing Accelerated MASSLESS (Micro) Black Holes. : Parallel Polarized Ballet Tutus, shaped by Solar Network jets. Parallel Polarized Ballet Tutus, shaped by Solar Network jets. Dual dark matter black holes at different surface levels seem to create Solar Network jets. 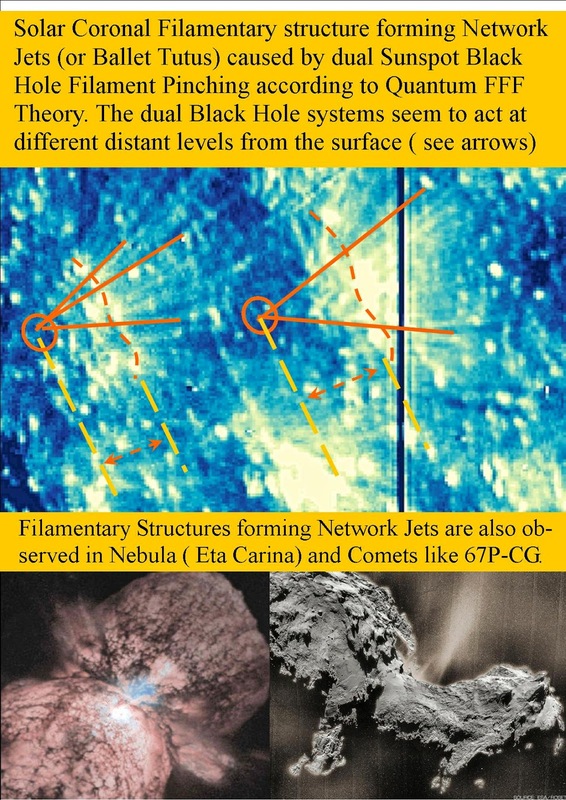 Filamentary Structures forming Network Jets are also observed in Nebula ( Eta Carina) and Comets like 67P-CG. 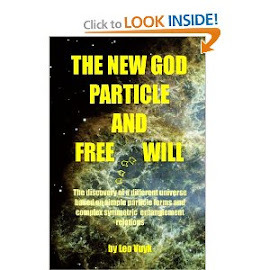 Small Dark Matter Black Holes ( BLACK SPOTS? ) 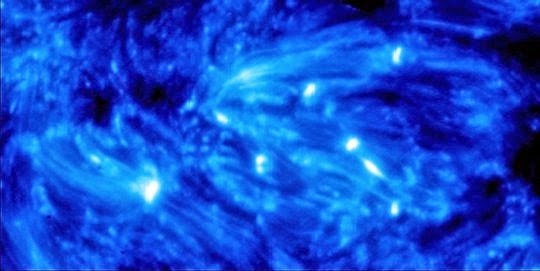 created by EM interference at the solar surface, also called "coronal rain". It is expected that some of them (the largest, propelled by polarized plasma) will leave the sun ( as UFO see fig 204) to form future Comet nuclei, according to Quantum FFF Theory. 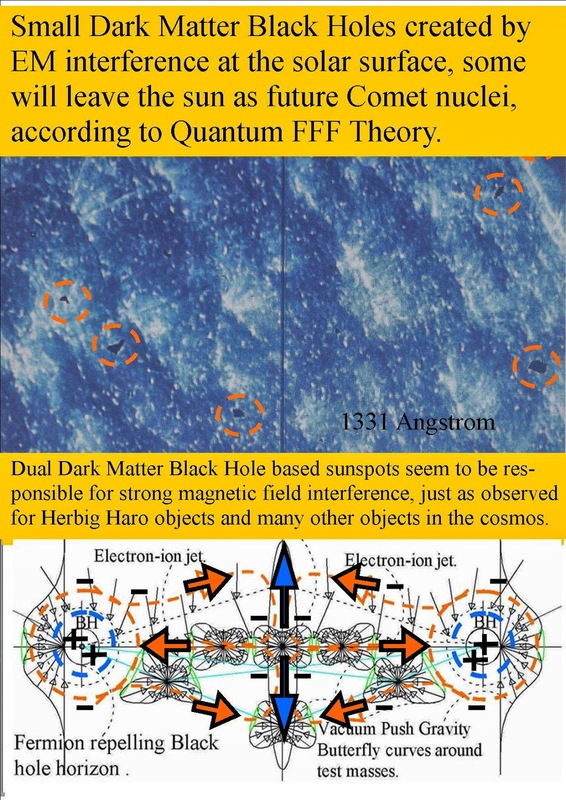 See also: "Solar bright spots"
Dual Dark Matter Black Hole based sunspots seem to be responsible for strong magnetic field interference, just as observed for Herbig Haro objects and many other objects in the cosmos. The jet based " range skirts" seen in the image, are all oriented in the same direction. This seems to point at the possibility that the dual sets of sunspot BHs under the solar surface (as trhe origin of these range skirts or "ballet tutu") are also parallel oriented. Interference black holes as solar hot spot point sources.